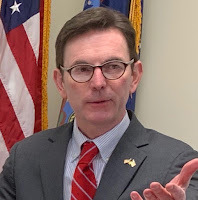 One of the “big pharma” distributors of prescription opiates being sued by Schuyler County for fraudulent and negligent marketing and distribution of opiates will pay a $20 million fine under an settlement unveiled in federal court on Tuesday (April 23). Rochester Drug Cooperative, Inc. (RDC), one of the nation's largest pharmaceutical distributors, was charged by federal prosecutors with conspiracy to distribute controlled narcotics — oxycodone and fentanyl — for non-medical reasons and conspiracy to defraud. Prosecutors allege that, from 2012 through March 2017, RDC knowingly and intentionally violated federal narcotics laws by distributing opioids to pharmacy customers that it knew were being sold and used illicitly. According to court documents, the company has agreed to enter into a “consent decree,” under which it accepts responsibility for its conduct by making admissions and stipulating to an extensive "Statement of Facts," paying a $20 million penalty, reforming its controlled substances compliance program, and submitting to supervision by an independent monitor. RDC is one of the big pharmaceutical companies being sued in state court by various New York municipalities, including Schuyler County. 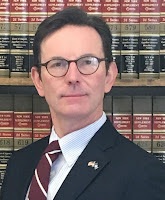 In May of last year, Schuyler County Attorney Steven Getman filed a nearly 250-page Summons and Complaint in New York State Supreme Court for damages to the county arising out of the fraudulent and negligent marketing and distribution of opiates in the county. Getman said his office would be carefully reviewing the statement of facts for evidence that could be used to support the county’s lawsuit. In 2017, the County Legislature voted to retain the firm of Napoli Shkolnik to work with Getman, as special counsel, to bring an action against the manufacturers and distributers of prescription opiates for damages to the county. According to Schuyler County Administrator Tim O’Hearn, the lawsuit was filed at no risk to the County, as Napoli Shkolnik will work on contingency basis that will cover all costs associated with the lawsuit. “By going forward with litigation, the County Legislature hopes to lessen the burden to taxpayers and hold manufacturers and distributors responsible for their role in the opioid epidemic,” O’Hearn said. Schuyler County is one of several New York municipalities filing lawsuits against the manufacturers and distributors of opioid pain killers. At least 14 counties across New York are suing pharmaceutical companies for what they are claiming are deceptive marketing practices. The consent decree is subject to final approval by the court. Any charges contained in complaints, indictments and other court documents are merely accusations, and any defendants are presumed innocent unless and until proven guilty in a court of law. 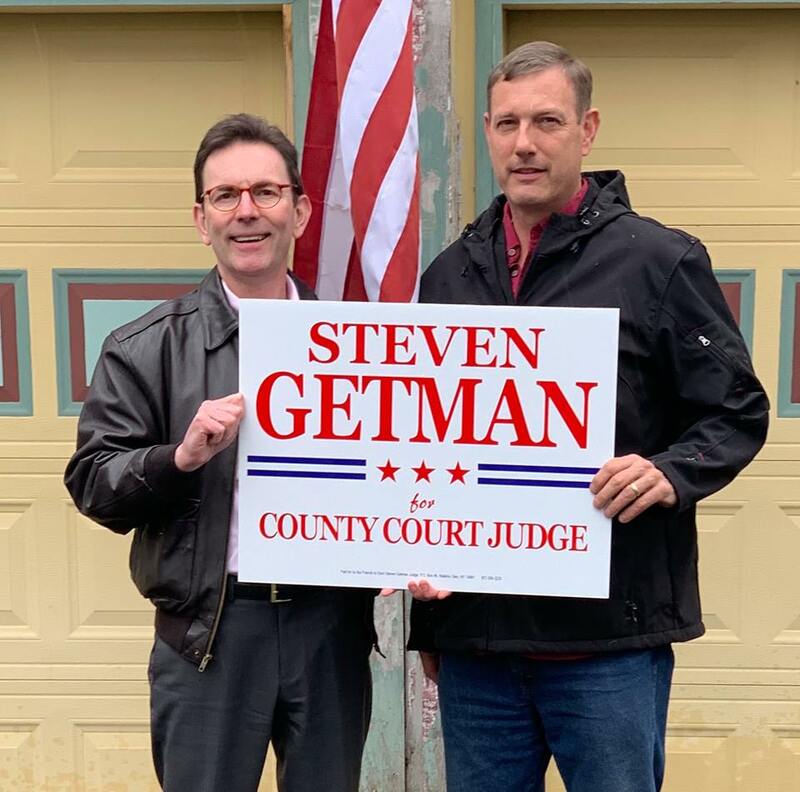 Schuyler County Court Judge candidate Steven Getman has picked up another endorsement, this time from Odessa Village Mayor Gerry Messmer. 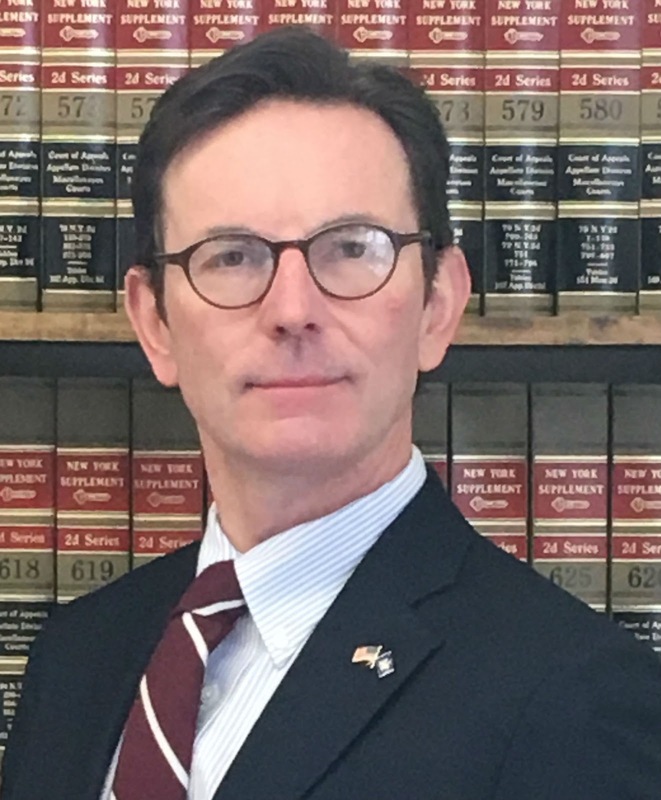 Getman, a resident of Watkins Glen, has been the Schuyler County Attorney since 2015. Prior to that, he served as the assistant county attorney. He has practiced law since 1992, in areas including criminal law, family law, and municipal government. He is a graduate of Hofstra University, Ithaca College and Cornell University. Beyond his service as an accomplished attorney, Getman has helped teach our next generation as an Adjunct Instructor at Keuka College for the past seven years. His courses have focused on criminal justice and constitutional law. This year’s election is expected to feature this seat for County Court Judge based on the expected retirement of current Judge Dennis Morris. The General Election is slated for Tuesday, November 5. Under the campaign, officials promote preventing child abuse by distributing pinwheels and hosting educational events. 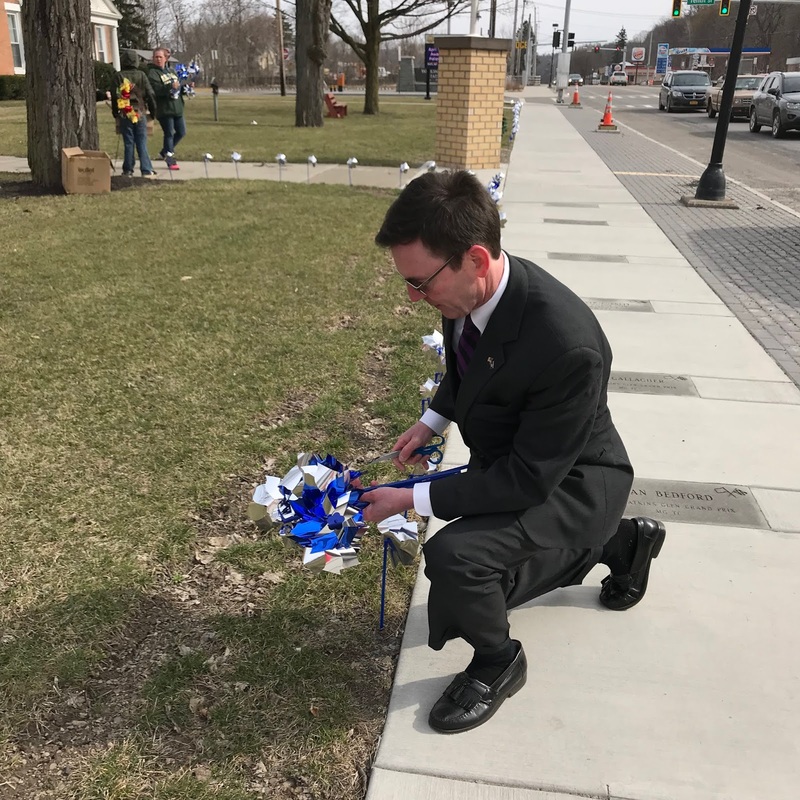 Schuyler County has set up a Pinwheels for Prevention garden outside the County Courthouse at 105 Ninth Street, Watkins Glen. The county attorney’s office, which prosecutes civil cases of child abuse and neglect for the Department of Social Services, assisted DSS staff and Glove House employees in setting up the garden and distributing pinwheels. Top photo: From left to right are: Secretary Maryann Friebis, County Attorney Steven Getman, Assistant County Attorney Vinton Stevens and Secretary Brandy Bower (absent: Deputy County Attorney Kristin Hazlitt). Bottom photo: Steven Getman helps to set up the Pinwheels for Prevention campaign outside the courthouse. For more on "Child Abuse Prevention Month," click here. PLEASE TAKE NOTICE that annexed hereto is a true and correct conformed copy of the Judgment of Foreclosure dated March 29, 2019 that was entered in the office of the Clerk of the County of Schuyler on March 29, 2019, in The Matter Of Foreclosure Of Tax Liens By Proceeding In Rem Pursuant To Article Eleven Of The Real Property Tax Law by the County of Schuyler. The Schuyler County legislature will vote at its Monday (April 8) meeting whether to join a constitutional challenge to a New York City law that could have broad implications for the state’s gun control measures. Those states have joined the New York Rifle and Pistol Association in arguing that New York City’s general prohibition on transporting even licensed, locked and unloaded handguns outside the city is unconstitutional, in that it violates the right to travel, interstate commerce, and the Second Amendment right to keep and bear arms. They also argue that the Second Circuit Federal Court of Appeals, which covers New York, applied an incorrect standard in upholding the law. The appeals court, the plaintiffs argue, erred by failing to subject to the law to a “strict scrutiny” test. According to Getman, this is the first significant Second Amendment case the Supreme Court will hear since ruling in District of Columbia v. Heller (2008) that the Constitution protects an individual right to keep and bear arms, and further that this right applies against the states as well as the federal government, in McDonald v. Chicago (2010). The New York State Rifle and Pistol Association challenged the city’s ban on taking a licensed handgun out of the licensee’s home except to a gun range within the city. The Second Circuit upheld the ban based on “intermediate scrutiny,” even though that standard requires that a restriction actually works to achieve a legitimate goal. Under the law, a city resident licensed to possess a handgun cannot transport their handgun to a weekend second home (even for self-defense), to another county to participate in a shooting competition, or even to a neighboring city for target practice. This, opponents argue, amounts to requiring a handgun owner to leave a firearm in a vacant house in the city while traveling, where it is more susceptible to burglary. They further argue that the city was unable to explain how a legal gun owner inflicts any risk on society when transporting a firearm outside the city, but not when transporting the identical firearm under identical conditions by identical means within the city itself. How the Supreme Court rules could have broad implications for Schuyler County residents in terms of what sort of gun control measures the state might impose going forward, Getman noted. In recent years, Governor Andrew Cuomo has been a vocal advocate for increased firearm restrictions. This is not the first time that the Schuyler County legislature has weighed in against Cuomo’s strict gun control laws. In 2013, the legislature passed several resolutions opposing the controversial SAFE act, arguing that the law violated the Second Amendment and created an unfunded mandate on the counties. If the county joins the action, it would be at no cost to the county, the resolution notes. Schuyler County is not the first county in New York to join the amicus filing. As of Wednesday (April 3), the following counties are known to have passed resolutions supporting the law’s challenge on Second Amendment grounds: Cortland, St. Lawrence, In addition, the following upstate counties are currently considering joining the action: Steuben, Montgomery, Lewis, Tioga, Chemung, Schenectady and Jefferson. The states currently filing in support of the Amicus Curiae, and against the law, are: Louisiana, Alabama, Arizona, Arkansas, Georgia, Idaho, Kansas, Kentucky, Michigan, Mississippi, Montana, Oklahoma, South Carolina, Texas, Utah, West Virginia, and Wisconsin. A brief in opposition to the New York law has also been filed by: The Western States Sheriffs’ Association, International Association of Law Enforcement Firearms Instructors, Law Enforcement Legal Defense Fund, Law Enforcement Action Network, Law Enforcement Alliance of America, and International Law Enforcement Educators and Trainers. The current resolution was sponsored at management and finance by legislator Phil Barnes (R), District VI, Town of Dix. A copy of draft resolution, submitted to the legislature by Getman, can be found here. Supporting Steven Getman for Schuyler County Court Judge is an easy endorsement. Why? I have known Steve since 2005, when he came on board as the legal adviser for the Route 414 Scenic Byway Designation Committee. 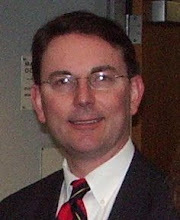 He served on the Board of Directors until the Byway was designated in September 2012. Steve’s expertise on how to cross all the “T’s” and dot all the “I’s” came in handy when the committee was putting together the nomination package. Working with the NYS Transportation Department’s NY Advisory Board for the Scenic Byways was not easy. 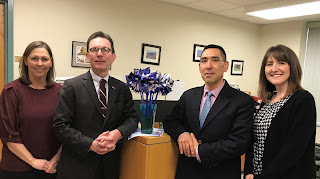 After a couple of meetings with the state it was quite evident that the committee needed someone familiar in dealing with the State Advisory Board and the numerous rules and regulations that we had to deal with. There were times when we felt a bit defeated by all the documents that were required by the Advisory Board. Many Scenic Byway committees hire a consultant to help them, but the Designation Committee agreed we could do this without adding the expense of a consultant. We were able to accomplish everything we needed because of Steve’s help and dedication to this project. Even dealing with designing a logo for the sign was a bit tricky. However, Steve was able to help us in that regard. When the Board found out that Route 414 would be designated as a Byway, all of us were excited. It had been a long 10 years since the conception of the idea of the 18 miles of Route 414 becoming a designated Scenic Highway. I personally know that this would not have happened without Steven Getman and the other members of the committee. His expertise in working with the state to help us achieve our goal was enormous. I highly endorse Steven Getman and all residents should vote for him come November. You will not be disappointed!